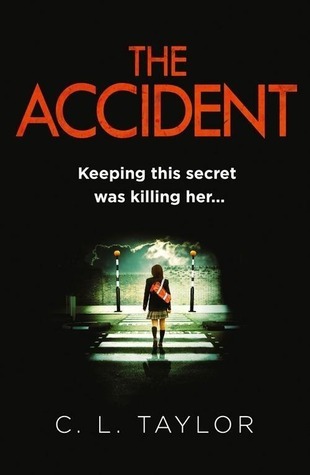 Sue Jackson has the perfect family but when her teenage daughter Charlotte deliberately steps in front of a bus and ends up in a coma she is forced to face a very dark reality. Retracing her daughter’s steps she finds a horrifying entry in Charlotte’s diary and is forced to head deep into Charlotte’s private world. In her hunt for evidence, Sue begins to mistrust everyone close to her daughter and she’s forced to look further, into the depths of her own past. I have heard so much about C.L Taylor’s adult fiction that I made it my mission to get to some of her backlist. This especially became the case when I read The Treatment, the author’s YA release. I loved that book so thought it was time to get to The Accident. I’m pleased I did because I found it to be a completely addictive read. I think I’ve found another thriller author that I adore. It centres around Charlotte and her family. Charlotte is in a coma after being hit by a bus. Her mother, Sue, believes it may have been deliberate after reading Charlotte’s diary and finding ‘keeping this secret is killing me.’ Sue is desperate to find out what Charlotte’s secret is. Through Sue’s exploration we find more about Charlotte’s life. We also find out about Sue’s past which is much darker than you first anticipate. I loved the narration because it had flashbacks to what had happened to Sue in the 1990s when she was with James. A very dangerous partner. As a reader, we learn about Sue’s past and begin to understand her reasons behind her decisions she makes when trying to uncover Charlotte’s secret. I loved reading the diary entries. They were intense and hard to read at points, but still so intriguing to begin to piece the story together. I found Sue to be such an unreliable narrator. She suffers from Post Traumatic Stress Disorder which makes you question her every move as a reader. She wasn’t afraid to directly accuse people of being involved with Charlotte’s accident. I loved that her relationship with her husband wasn’t perfect. It was incredibly authentic. I thoroughly enjoyed the pace of this story. I was constantly turning the pages to try to figure out what had happened to Charlotte. A very decent psychological thriller! A wonderful debut psychological thriller. Its narration really kept me guessing! I only read The Fear so far and it was amazing, so I also want to read more of her novels! Great review! She is a fantastic writer. Great review. Didn’t know about this title. Glad to hear that you enjoyed it. I loved thrillers about secrets so definitely adding this one to my TBR! I definitely recommend her books! Ratings- Would I recommend it? For books rated 1-2 stars, I will give my reason why. Chrissi Reads is on Instagram!